Anyone with enough brains and balls can build their own rocket and fly it to space. Or at least that’s what the non-profit, open source space project Copenhagen Suborbitals wants to prove. In September, Motherboard scuttled out to Denmark to meet the pioneers behind this new wave in do-it-yourself space exploration to find out how these backyard space rockets are made. Founded in 2008 by two amateur engineers and entrepreneurs, Kristian von Bengtson and Peter Madsen, Copenhagen Suborbitals is now comprised of a coterie of 20-plus specialists determined to create the first homemade, manned spacecraft to go into suborbital flight. 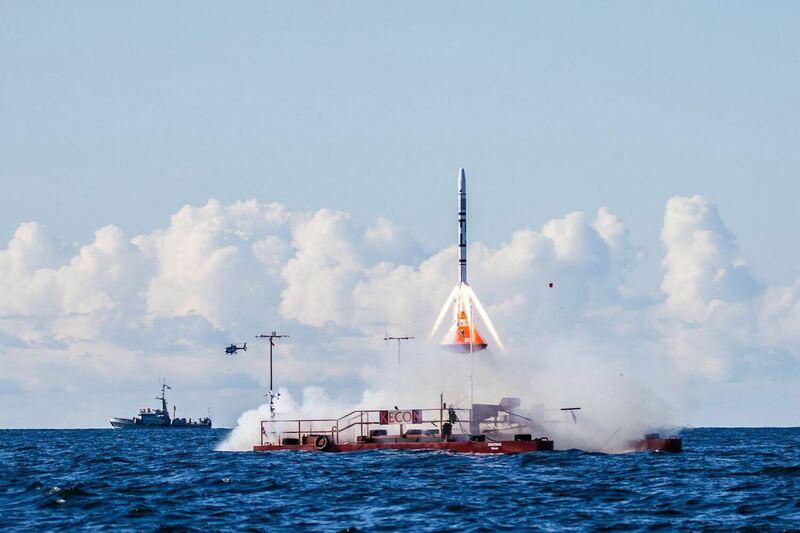 If successful–a manned launch is projected for sometime in the next few years–Denmark would be the fourth country in the world, after China, to successfully launch a manned rocket into space. What’s exceptional about such a feat, if completed, will be Kristian and Peter’s ability to do so on a shoestring budget of a few hundreds of thousands of dollars, versus the tens of millions of dollars it costs government-funded agencies and the rising tide of private companies like SpaceX, Virgin Galactic or Bigelow. And so far, their accomplishments are impressive: their solid-and-liquid-fuel rocket, the HEAT-1X, is the first “amateur” rocket flown with a payload of a full-size crash test dummy, and the first to perform a successful Main Engine Cut-Off, or MECO command, and the first launched from a “low budget” sea-based platform. It’s also the most powerful amateur rocket ever flown. If you’re trying to go to space, there’s no point in being tight-lipped about it. By making the spaceflight project open-source, Copenhagen Suborbitals were not only able to attract space-crazed specialists to volunteer their human capital in exchange for being part of something new and exciting, but they also raised donations, product support and constructive feedback from avid followers from all over the world. They haven’t specifically said how much they need to raise, but they estimate that a typical launch should eventually cost 50,000 Euros, or about $63,000 dollars. Today, they continue to raise donations using an IndieGogo campaign. This is the latest sketch for Copenhagen Suborbitals Tycho Deep Space II capsule. These open-source sketches and design invite others to suggest ameliorations to existing geometry and subsystems. One man’s kitchen sink valve is another rocket man’s missing component. A D.I.Y. spaceflight project can start with a good rummage at your local plumbing or hardware store. With everyday, off-the-shelf products, the guys behind Copenhagen Suborbitals found cheaper solutions to expensive, complex systems. “Instead of trying to invent our own valve for instance, why not buy one that’s been produced maybe a million times,” explained Kristian. He said they used a hair dryer in one of the first rocket tests in order to prevent one of the valves from freezing up. Copenhagen Suborbitals doesn’t operate within limits but rather works around edges. Money and technology are hard to come by, sure, but limitations can often be a blessing in disguise. Instead of shelling out money they didn’t have in order to rent an expensive centrifuge at a NASA research center, the Copenhagen guys went to their local amusement park, the legendary Tivoli Gardens, and turned up the levels on a mechanical ride in order to test a g-force threshold for the eventual launch of their spaceship. The pair has twice test launched their Tycho Brahe spacecraft–named after the 16th century Danish astronomer known for his remarkably accurate astronomical observations made without the aid of a telescope. In 2010 a power shortage caused a valve to freeze shut, which prevented launch. In 2011 the rocket was successfully launched, reaching an altitude of 2.8 kilometers (1.7 mi) before the engine was shut off due to an undisclosed anomaly. As opposed to an orbital trajectory, a suborbital flight is essentially a parabolic flight that looks like a massive u-turn from earth to space and back, in a matter of roughly 15 minutes. With each failed launch test, Copenhagen Suborbitals get closer to disproving the idea that space travel is too complex, expensive and sophisticated an endeavor for the little guys to take on. Mistakes and accidents are as helpful as they are dangerous, which is why Copenhagen Suborbitals emphasizes the value on continual testing of systems. “My constant fight is to keep the quality low,” explained Peter, who cut his engineering teeth on three submarine projects. “If the work is extra good, it takes extra long, and costs extra more.” Basically, if the quality gets too high, then the space rocket will never get finished. Rocket engines, launch escape systems and parachutes make up the gamut of systems that get tested. Since Copenhagen Suborbitals is bereft of the red tape and regulations characteristic of federally or commercially funded space projects, Kristian explained that his team can go from a revised sketch to an improved prototype, sometimes in less than five minutes. That’s far quicker than NASA, of course, where he helped to design new moon rovers and co-authored the agency’s Human Integration Design Handbook.